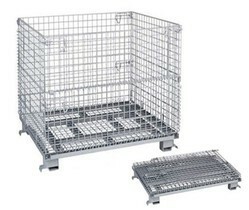 Wire cage bins made out of MS wire of 5.50mm thickness with wire grid 50 x 50mm. It is having a weight capacity of 1 ton . Looking for Wire Cage Bins ?